Amid continuing arrests, investigations, and reshuffling in the UK, Rupert Murdoch’s company has also been fortifying against potential Foreign Corrupt Practices Act bribery violations domestically, where News Corp. is based. 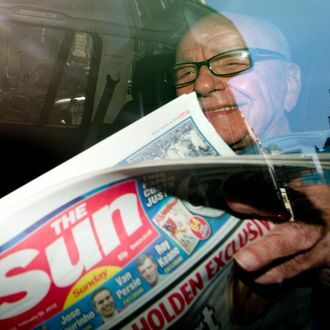 As recently as last night, the New York Times reported that Murdoch had retained the lawyer Mark Mendelsohn, an FCPA expert formerly of the justice department, but the Guardian says Mendelsohn didn’t last long at all. In fact, he was reportedly pushed out last summer, right after he was brought on, due to a difference in legal strategy. Who needs the stress anyway?